The entire situation is made more complicated due to the fact that many, if not most, of those whose marriages have apparently failed have received a civil divorce and have entered into new civil unions. Here we approach one of the difficult questions at the center of the upcoming synods on the family. How can the Church offer pastoral care for Catholics in this situation? How can the Church help to heal the wounds? For reasons that I hope to clarify during the course of this essay, a proposal that emerged in Catholic theology in the early 1970s has gained new currency. 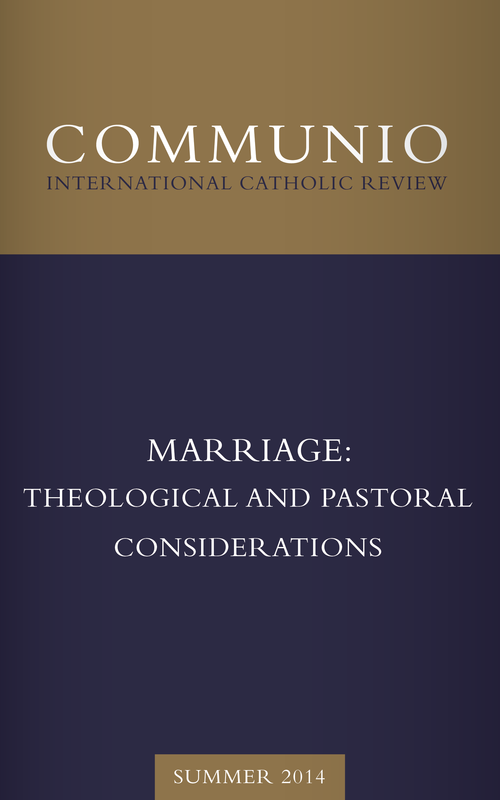 The proposal, which represents a departure from Catholic teaching and practice, is that civilly divorced and remarried Catholics should be readmitted to eucharistic Communion—not as a “general norm” but in particular cases. 1. Interview of Pope Francis by Antonio Spadaro, SJ. Text available at: http://www.vatican.va/holy_father/francesco/speeches/2013/september/documents/papa-francesco_20130921_intervista-spadaro_en.html. 2. Francis, Evangelii gaudium, 66. In this sacrament the Church clasps to her heart the first of all human relationships, that upon which the existence and propagation of human nature depends. . . . Nowhere has the truth more strikingly come to light that the whole of nature down to its deepest roots shares in the sublime consecration of the God-man who has taken nature to himself. Nowhere does the truth more clearly appear that Christ has been made the cornerstone upon which God has based the preservation of and growth of nature.